"THE WASP MAJOR FROM BEHIND"
AT THE PIMA AIR AND SPACE MUSEUM IN TUCSON, ARIZONA. 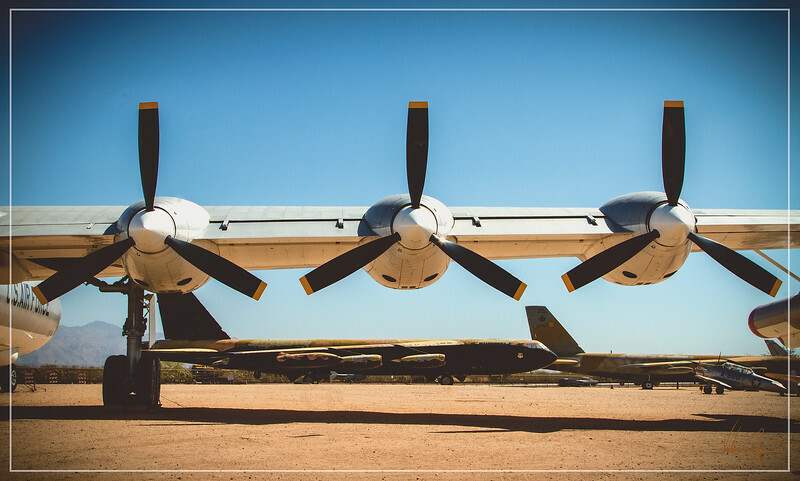 THE AIRCRAFT IS THE CONVAIR B-36J "PEACEMAKER" BOMBER AKA "CITY OF FORT WORTH". SIX PRATT AND WHITNEY R4360 WASP MAJOR ENGINES OF 3,800 HORSEPOWER EACH, AND FOUR GENERAL ELECTRIC J-47 TURBOJET ENGINES WITH 5,200 POUNDS OF THRUST EACH.